Possibly because of the high number of uninsured drivers in Florida, there are a great number of hit-and-run crashes in Tampa. Statistics vary by jurisdiction, but an estimated 50 percent of these motorists are caught and successfully prosecuted in criminal court. The proportion may be significantly higher in civil court, because the burden of proof is significantly lower. In a negligence case, the victim/plaintiff need only establish liability by a preponderance of the evidence (more likely than not). So, if the victim/plaintiff can identify the vehicle owner that is usually good enough to establish liability for damages. That approach does not work in criminal court. Prosecutors must establish guilt beyond a reasonable doubt. So, the prosecutor basically needs either a confession from the defendant or a witness who saw the defendant behind the wheel at or near the time of the crash. What if the Hit-and-Run Driver is Caught in Tampa? Video Evidence: Between red-light cameras and nearby surveillance cameras, this footage is nearly always available. An investigator may review dozens of hours of footage from cameras at the scene or even several miles away, looking for that one vital clue. Additional Witness Statements: Many people do not want to talk to police officers, for various reasons. But, they are often more willing to cooperate with a victim/plaintiff’s attorney and his investigator, especially if the person was seriously injured or killed. Physical Evidence: An investigator does not need a warrant or probable cause to conduct surveillance at area body shops or ask the people who work there questions about recently damaged vehicles. Based on evidence like this, Tampa juries may not only find the tortfeasor (negligent driver) liable, jurors may also award additional punitive damages. These damages are available if the tortfeasor intentionally disregarded a known risk and/or recklessly endanger the safety of other people. Fleeing the scene of an injury accident certainly qualifies as such. These damages are on top of the compensatory damages which are available for economic losses, such as medical bills, and noneconomic losses, such as pain and suffering. 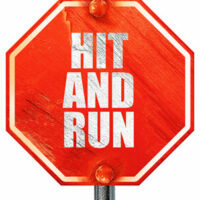 Hit-and-run victims have several legal options. Don’t neglect to vigorously pursue your case. For a free consultation with an experienced personal injury attorney in Tampa, contact The Matassini Law Firm, P.A. We have represented victims and their families since 1976.